The point of this theory is to have fun and exercise your imagination while simultaneously finding interesting connections between these fantastic movies. The trick is to not take any of it too seriously. If want a shorter version of this theory, check out the visualized Pixar Theory Timeline. Or watch the video I made with Screen Junkies below. As of this writing in 2013, Brave is the first and last movie in the timeline. Obviously, this movie about a Scottish kingdom during the Dark Ages is the earliest time period covered by the Pixar films, but it’s also the only Pixar movie that actually explains why animals in the Pixar universe behave like umans sometimes. 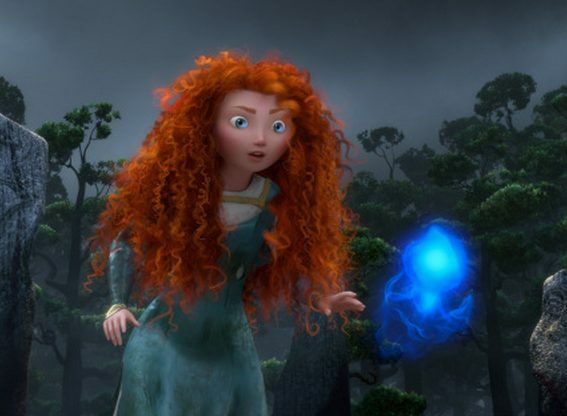 In Brave, Merida discovers that there is “magic” that can solve her problems but inadvertently turns her mother into a bear. We find out that this magic comes from an odd witch seemingly connected to the mysterious will-of-the-wisps. Not only do we see animals behaving like humans, but we also see brooms (inanimate objects) behaving like people in the witch’s shop. We also learn that this witch inexplicably disappears every time she passes through doors, leading us to believe that she ma not even exist. Don’t get ahead of me, but we’ll come back to Brave. 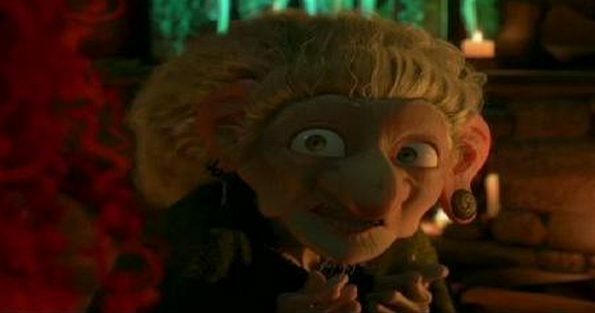 Let’s just say that for now, the witch is someone we know from a different movie in the timeline. In Ratatouille, we see animals experimenting with their growing personification in small, controlled experiments. Remy wants to cook, which is something only humans explicitly do. He crafts a relationship with a small group of humans and finds success. Meanwhile, the villain of Ratatouille, Chef Skinner, disappears. What happened to him? What did he do with his newfound knowledge that animals were capable of transcending their instincts and performing duties better than humans? 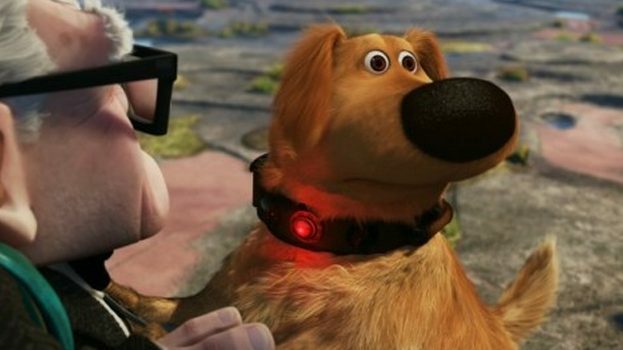 It’s possible that Charles Muntz, the antagonist of Up, learned of this startling rumor, giving him the idea to begin inventing devices that would harness the thoughts of animals, namely his dogs, through translator collars. Those collars indicated to Muntz that animals are smarter and more like humans than we think. He needed this technology to find the exotic bird he’s obsessed over, and he even comments on how many dogs he’s lost since he arrived in South America. But then Dug and the rest of his experiments are set free after Muntz’s demise, and we don’t know the full implications of that, but what we do know is that animosity between the animals and humans is growing steadily. Now that humans have discovered the potential of animals, they are beginning to cross the line. To develop this new technology, the humans begin an industrial revolution hinted at in Up. In the beginning of Up, Carl is forced to give up his house to a corporation because they are expanding the city. Wait a second. What corporation is guilty for polluting the earth and wiping out life in the distant future because of technological overreach? In Finding Nemo, we have an entire population of sea creatures uniting to save a fish that was captured by humans. BNL shows up again in this universe via another news article that talks about a beautiful underwater world. Lines are being crossed. Humans are beginning to antagonize the increasingly networked and intelligent animals. Think about Dory from Finding Nemo for a second. She stands apart from most of the other fish. Why? She isn’t as intelligent. Her short-term memory loss is likely a result of her not being as advanced as the other sea creatures, which is a reasonable explanation for how rapidly these creatures are evolving. 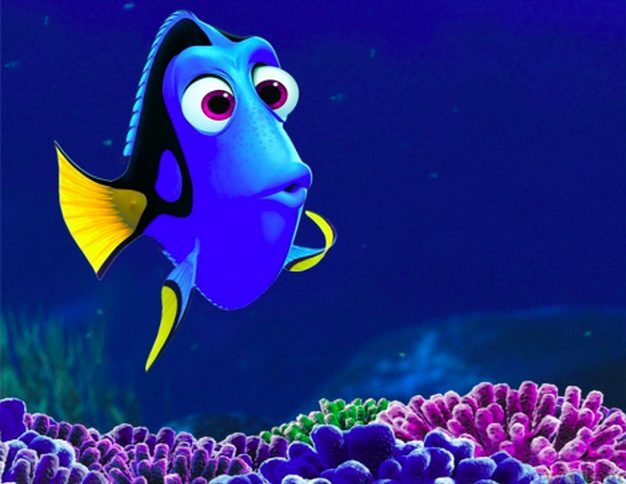 It’s likely that the sequel to Finding Nemo, which is about Dory, will touch on this and further explain why. We may also get some more evidence pointing to animosity between humans and animals. And that is the furthest movie in the “animal” side of things. When it comes to A.I., we start with The Incredibles. Who is the main villain of this movie? You probably thought of Buddy, a.ka. 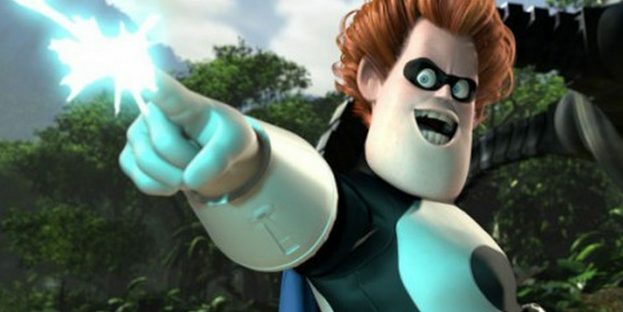 Syndrome, who basically commits genocide on super-powered humans. Or does he? Buddy didn’t have any powers. He used technology to enact revenge on Mr. Incredible for not taking him seriously. Seems a little odd that the man went so far as to commit genocide. And how does he kill all of the supers? He creates the omnidroid, an A.I. 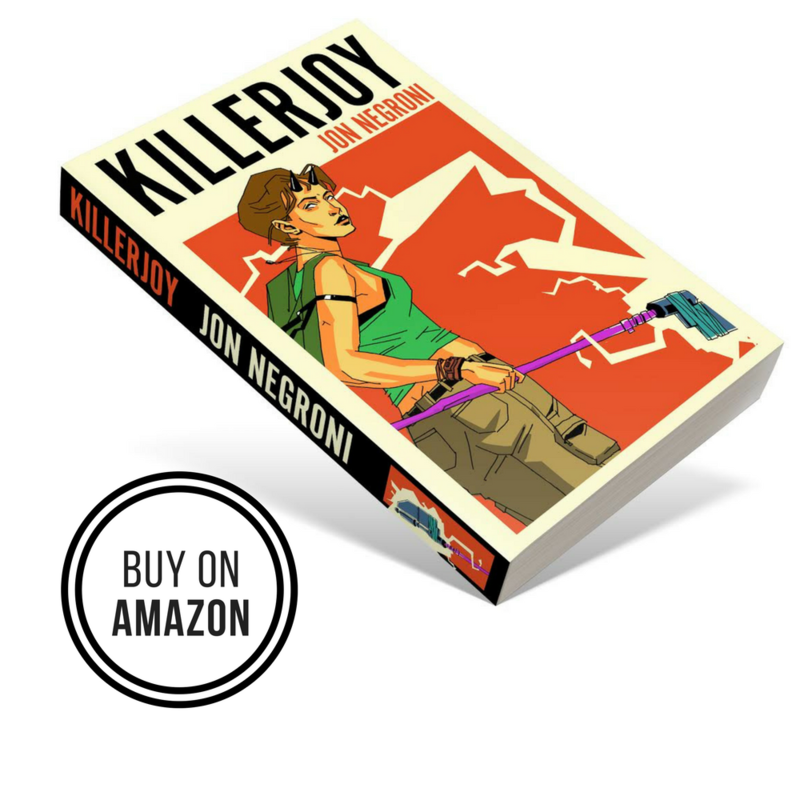 “killbot” that learns the moves of every super-human and adapts. When Mr. 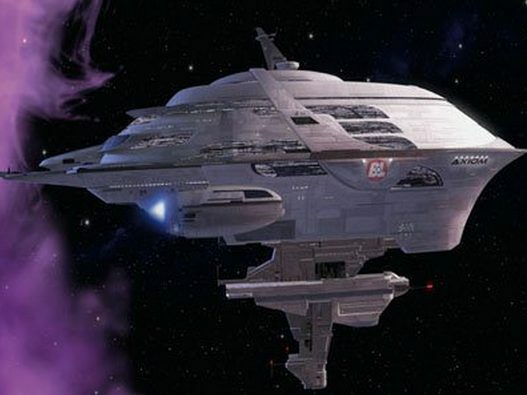 Incredible is first told about this machine, Mirage mentions that it is an advanced artificial intelligence that has gone rogue. Mr. Incredible points out that it got smart enough to wonder why it had to take orders. 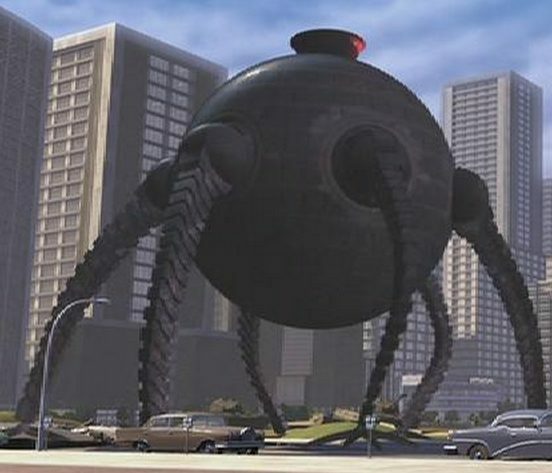 The omnidroid eventually turns on Syndrome, and starts attacking humans in the city. Why would an A.I. want to just attack randomly? Do machines have an inherent hatred of humans? The movie even shows clips of the superheroes with capes being done in by inanimate objects, such as plane turbines…accidentally. But why would machines want to get rid of humans in the first place? We know that animals don’t like humans because they are polluting the Earth and experimenting on them, but why would the machines have an issue? Enter Toy Story. Here we see humans using and discarding “objects” that are clearly sentient. Yes, the toys love it Uncle Tom style, but over the course of the Toy Story sequels, we see toys becoming fed up. But wait, toys and inanimate objects aren’t necessarily machines, so how do they have some kind of intelligence? Syndrome points to the answer. He tells Mr. Incredible that his lasers are powered by Zero Point Energy. This is the electromagnetic energy that exists in a vacuum. It’s the unseen energy we find in wavelengths and a reasonable explanation for how toys and objects in the Pixar world draw power. 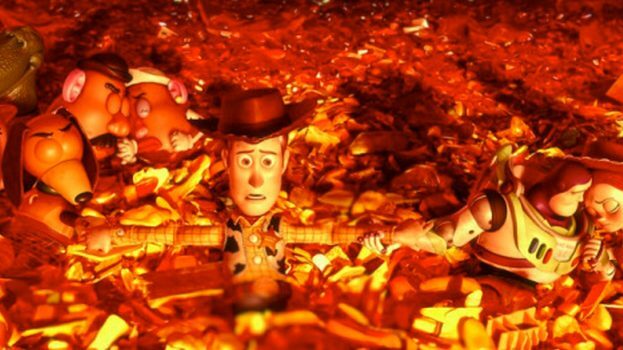 By the events of the Toy Story movies, we are in the 90s until 2010. 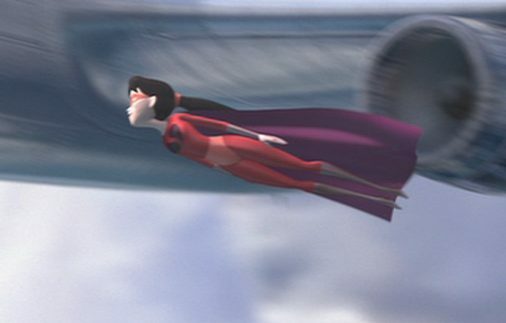 It’s been 40-50 years or so since the events of The Incredibles, giving A.I. plenty of time to develop BNL. Meanwhile, Pixar is hinting at dissatisfaction among pockets of toy civilizations. The toys rise up against Sid in the first movie. Jesse resents her owner, Emily, for abandoning her. Lotso Huggin’ Bear straight up hates humans by the third movie. Toys are obviously not satisfied with the status quo, providing a reason for why machines and objects alike are ready to take over. So, by the 2000s, the super-humans are all but gone, and mankind is vulnerable. Animals, who want to rise up Planet of the Apes style, have the ability to take over, but we don’t see this happen. Also, A.I. never takes over humans by force. Why do you think that is? It’s reasonable to assume that machines did take over, just not as we expected. 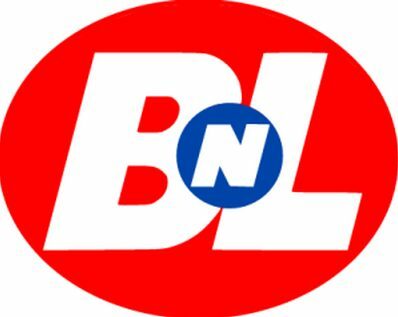 The machines used BNL, a faceless corporation (which are basically faceless in nature) to dominate the world, starting in the 1960s after the Omnidroid fails to defeat the Incredibles. 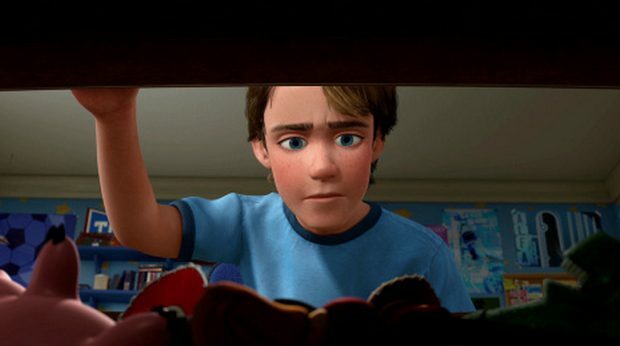 In each of the Toy Story movies, it’s made painfully clear that sentient objects rely on humans for everything. For fulfillment and even energy. It’s hinted at that the Toys lose all life when put away in “storage” unless they are in a museum that will get them seen by humans. So machines decide to control humans by using a corporation that suits their every need, leading to an industrial revolution that eventually leads to…pollution. When the animals rise up against the humans to stop them from polluting the earth, who will save them? The machines. We know that the machines will win the war, too, because after this war, there are almost no animals left on Earth. Who’s left? On Axiom, the humans have no purpose aside from having their needs met by the machines. The machines have made humans dependent on them for everything because that is how they were treated as “toys.” It’s all they know. Meanwhile on Earth, machines are left behind to populate the world and run things, explaining human landmarks and traditions still being prominent in Cars. There are no animals or humans in this version of Earth because they’re all gone, but we do know that the planet still has many human influences left. In Cars 2, the cars go to Europe and Japan, making it plain that this is all taking place on Earth as we know it. So what happened to the cars? We’ve learned by now that humans are the source of energy for the machines. That’s why they never got rid of them. 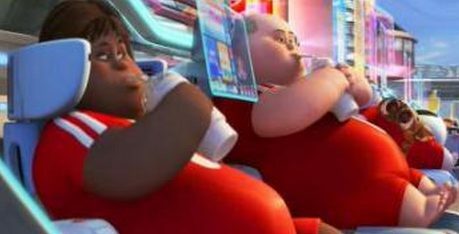 In Wall-E, they point out that BNL intended to bring the humans back once the planet was clean again, but they failed. The machines on Earth eventually died out, though we don’t know how. What we do know is that there is an energy crisis in Cars 2, with oil being the only way society trudges on despite its dangers. We even learn that the Allinol corporation was using “green energy” as a catalyst for a fuel war in order to turn cars away from alternative energy sources. That “clean” fuel could have been used to wipe out many of the cars, very quickly. Which brings us back to Wall-E. Have you ever wondered why Wall-E was the only machine left? We know that the movie begins 800 years after humans have left Earth on Axiom, governed by the AutoPilot (another A.I. reference). Could it be that Wall-E’s fascination with human culture and friendship with a cockroach is what allowed him to keep finding fulfillment and the ability to maintain his personality? That’s why he was special and liberated the humans. He remembered the times when humans and machines lived in peace, away from all of the pollution caused by both sides. After Wall-E liberates the humans and they rebuild society back on Earth, what happens then? During the end credits of Wall-E, we see the shoe that contains the last of plant life. It grows into a mighty tree. A tree that strikingly resembles the central tree in A Bug’s Life. That’s right. 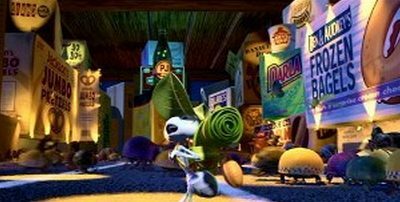 The reason no humans show up in A Bug’s Life is because there aren’t a lot left. We know because of the cockroach that some of the insects survived, meaning they would have rebounded a bit faster, though the movie had to be far enough in the timeline for birds to have returned as well, though they’re noticeably less intelligent than the bugs. 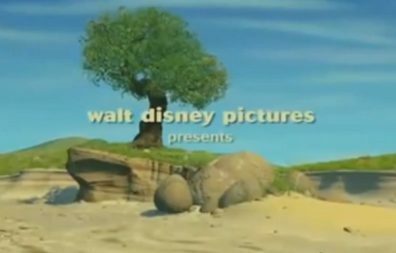 There’s something strikingly different about A Bug’s Life when compared to other Pixar portrayals of animals, which leads me to believe it takes place in the future. Unlike Ratatouille, Up, and Finding Nemo, the bugs have many human activities similar to what the rats in Ratatouille were merely experimenting with. The bugs have cities, bars, advertisements, their own machines, know what a bloody mary is and even have a traveling circus. This all assumes that the movie is in a different time period. The other factor that sets A Bug’s Life apart from other Pixar movies is the fact that it is the only one, besides Cars and Cars 2, that doesn’t revolve (or even include) humans. [In Finding Nemo, the most human thing we see is a school, and even that is pretty stripped down. But in A Bug’s Life, we have a world where humans are barely even implied. At one point, one of the ants tells Flik not to leave the island because there are “snakes, birds, and bigger bugs out there.” He doesn’t even bring up humans. A movie about an endangered species rebuilding itself could lend itself nicely to this theory, but since the movie was never released, I’m just speculating. So what happens next? Humanity, machines, and animals grow in harmony to the point where a new super species is born. Monsters. The monsters civilization is actually Earth in the incredibly distant future. Where did they come from? It’s possible that the monsters are simply the personified animals mutated after the diseased earth was irradiated for 800 years. Whatever the reason, these monsters seem to all look like horribly mutated animals, only larger and civilized. They have cities and even colleges, as we see in Monsters University. 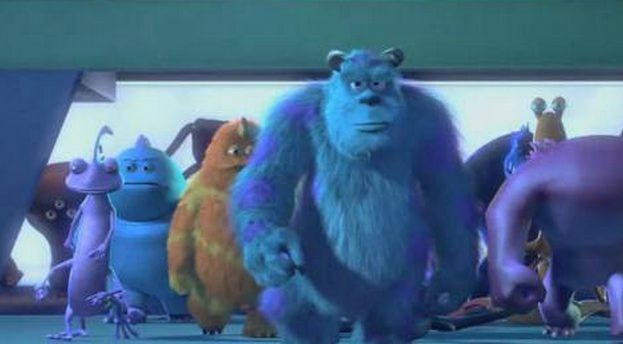 In Monsters Inc., they have an energy crisis because they are in a future earth without humans. Humans are the source of energy, but thanks to the machines, again, the Monsters find a way to use doors to travel to the human world. Only, it’s not different dimensions. The monsters are going back in time. They’re harvesting energy to keep from becoming extinct by going back to when humans were most prominent. The peak of civilization, if you will. Though a lot of time has passed, animosity towards humans never really went away for animals/monsters. Monsters must have relied on anti-human instincts to believe that just touching a human would corrupt their world like it did in the past. So they scare humans to gather their energy until they realize that laughter (green energy) is more efficient because it is positive in nature. 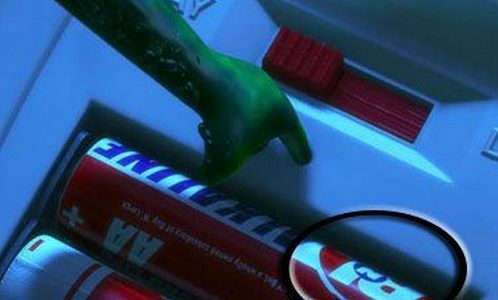 We even see a connection between A Bug’s Life and Monsters Inc. via the trailer we see in both movies. As you can see, the trailer looks exactly the same, except the one in A Bug’s Life is noticeably older and more decrepit, while the one in Monsters Inc. (where Randall is sent via a door) has humans and looks newer. Look at the picture above. On the left is the trailer from A Bug’s Life and the one on the right is from Monsters Inc. The one on the left looks older and more rundown. Even the vegetation is noticeably dryer and there’s less of it. The trailer on the right has humans and the frame even includes tall grass and a tree hanging overhead. That said, Monsters Inc. is so far the most futuristic Pixar movie. By the end, humans, animals, and machines have finally found a way to understand each other and live harmoniously. And then there’s Boo. What do you think happened to her? She saw everything take place in future earth where “kitty” was able to talk. She became obsessed with finding out what happened to her friend Sully and why animals in her time weren’t quite as smart as the ones she’d seen in the future. A WITCH. Yes, Boo is the witch from Brave. She figures out how to travel in time to find Sully, and goes back to what she believes is the source: The will-of-the-wisps. They are what started everything, and as a witch, she cultivates this magic in an attempt to find Sully by creating doors going backwards and forwards in time. How do we know? 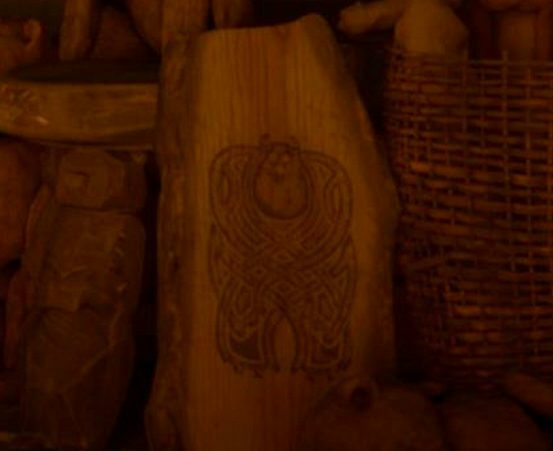 In Brave, you can briefly see a drawing in the workshop. It’s Sully. 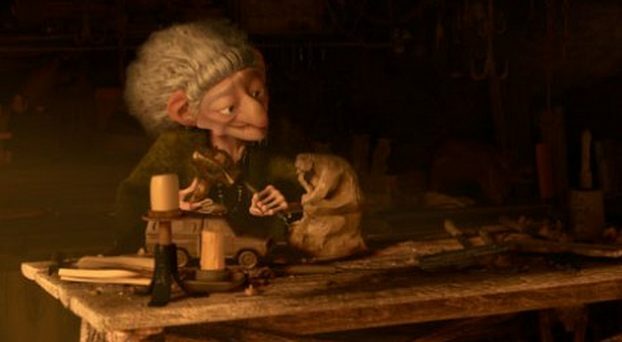 We even see the Pizza Planet truck carved as a wooden toy in her shop, which makes no sense unless she’s seen one before…(and I’m sure she has since that truck is in almost every Pixar movie). If you look closely, you can see the carved truck below. 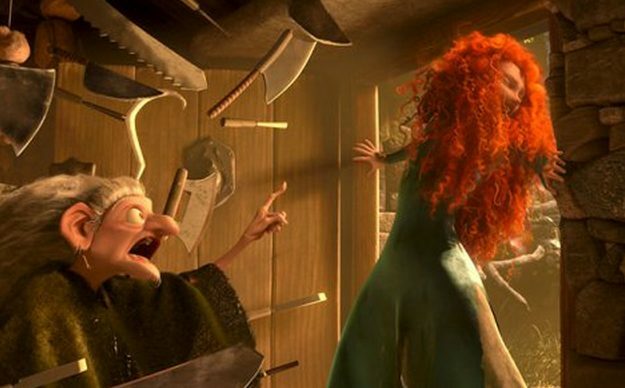 You remember Merida opening doors and the witch constantly disappearing? It’s because those doors are made the same way from Monsters Inc. They transport across time and that is why Merida couldn’t find the witch later in the movie. But wait. How did Boo travel in time in the first place, and why is she obsessed with wood? Boo must have discovered that wood has been the source of energy all along, not just humans. 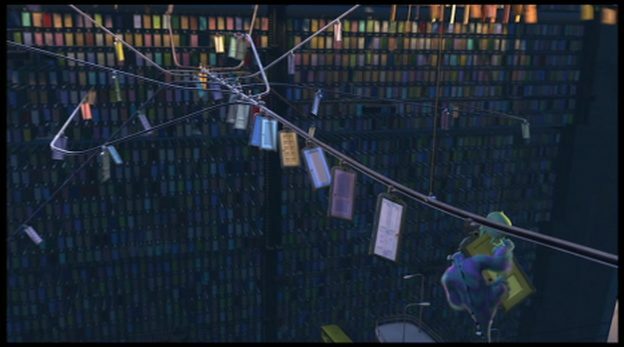 The machines and monsters in Monsters Inc. use doors because they’re made of wood and found a way to use that energy to travel in time. Obsessed with finding Sully, Boo travelled across the Pixar universe using doors. So Boo went back to the Dark Ages, probably because she could use plenty of wood there for her experiments or to study the will-o-wisps. We know that her first encounter with Mor’du ended with her turning him into a monstrous bear, but he regresses. She probably wanted to turn him into a bear because Sully resembles a bear, and she is still trying to figure out where Sully comes from. Does Boo ever find Sully? I like to think so. He surely reunited with her at least once as a child at the end of Monsters Inc., but eventually, he had to stop visiting. But her love for Sully is, after all, the crux of the entire Pixar universe. The love of different people of different ages and even different species finding ways to live on Earth without destroying it because of a lust for energy. 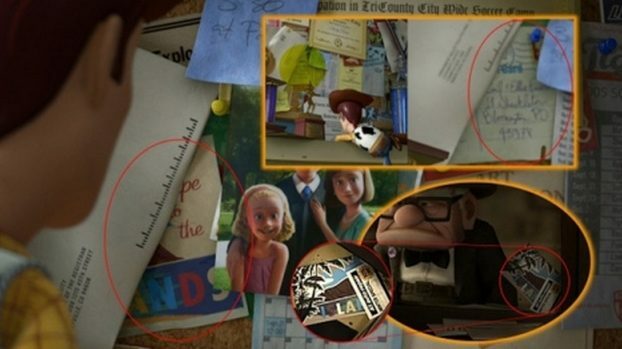 And that is the Pixar Theory. Well, the first part at least. Like I already mentioned, there’s a book where I truly explore everything discussed above in more researched detail. The arguments are much stronger, and the timeline is more established. The Pixar Theory – the full book available in paperback and ebook via Kindle, Barnes and Noble, iBooks, or just a PDF. This will cover the entire theory and every movie in the Pixar universe, updated from what you just read. I’m pretty sure the reason why the Monster think Humans are toxic is because they could have arrived in a time like the Spanish Flu,the Black Death, The Small Pox epidemic or even the Ebola Outbreak in 2014, one of the Monsters trying to scare a human accidentally got infected by them, then when that one monster got back the disease he/she contracted spreads like wildfire and killed hundreds or thousands so from then on Humans were deemed toxic. That’s just a theory.. 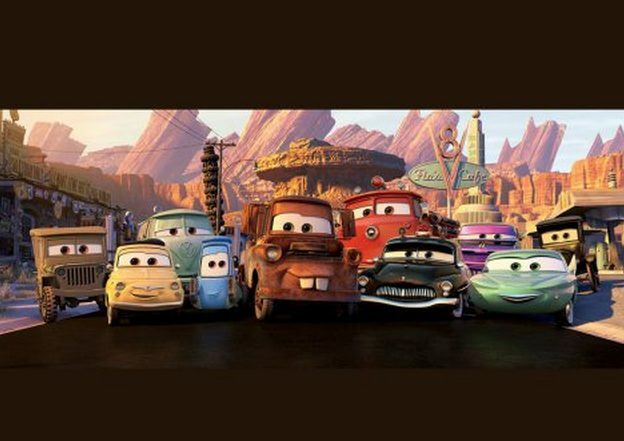 Does The Good Dinosaur take place in the same universe as Cars? In Cars 2, Miles Axelrod says that fossil fuels (such as Dinaco) are made with dead dinosaurs… does that mean that the cars are fueled by Arlo and his friends and family? Hi, I think that that is exactly what it means. They have to use something. what about big hero 6? What about coco? With all the humans away in axiom, the dead would swiftly be forgotten. The mutated animals find a way to migrate to the coco afterlife and mutate even more, like spirit guides. However, because the afterlife is empty now, they aren’t as vibrant. the doors let the monsters come to the real world, or back in time. I’m assuming that if the humans went extinct, there would be less and less energy for the monsters to harvest in the past. eventually, the monsters would die. Humans eventually thrive again, allowing the monsters to live on. But the dead humans are no longer remembered, so they just die.